1. Machine photos of co2 laser cutting machine 1530. 2. 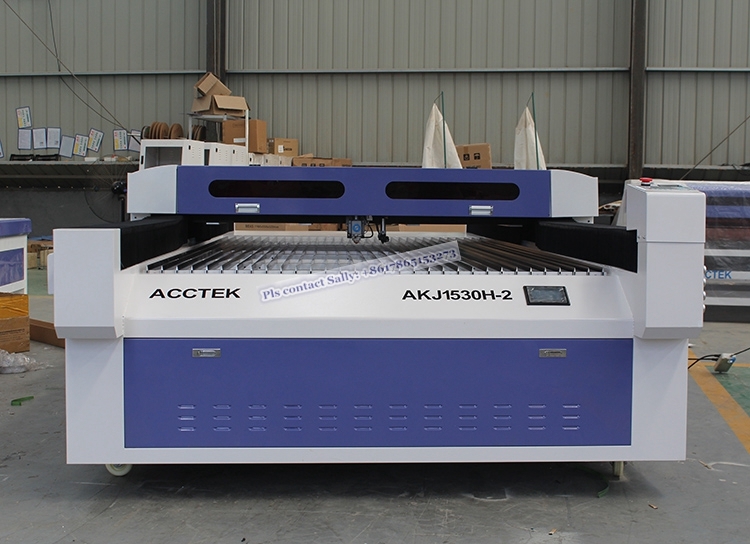 Machine configuration of co2 laser cutting machine 1530. 3. Machine features of co2 laser cutting machine 1530. 4. 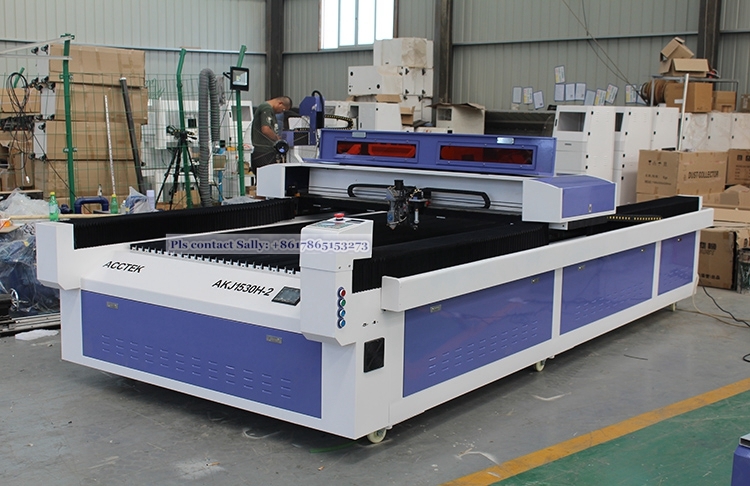 Machine parameters of co2 laser cutting machine 1530. 1. High end cutting head with stepper following up system, Coupler connect with gear, Fulong belt, Copper gear(long lifetime than Aluminum). 4. Water chiller for cooling laser tube, Ruida 6332M controller. 1. Nonmetal industries: acrylic products, logo signs, electronics, furniture, toys, flooring, advertising display, gifts, models, industrial panel. 2. Metal cutting industry: sheet metal structure, high and low voltage electrical cabinet making, hardware, tools, advertising signs, metal crafts, decorating, automotive, petrochemical, medical, mechanical parts, electrical meter parts, saw blades, spring-chip and other industries. 4. Non-metallic materials: acrylic, wood, plastic panels,paper,leather and more. Please feel free to contact us,we will supply service within 24 hours.